A Brand New Colgate 26 in Six Weeks! weeks. Rufen Sie Steve Colgate mit Ihrer Bestellung und beginnen Segeln auf dieser keelboat zum Verkauf. You get $5,000 off the reduced standard package price und a beautifully scaled model of your new boat to place on your mantle or bookcase (while the models last). 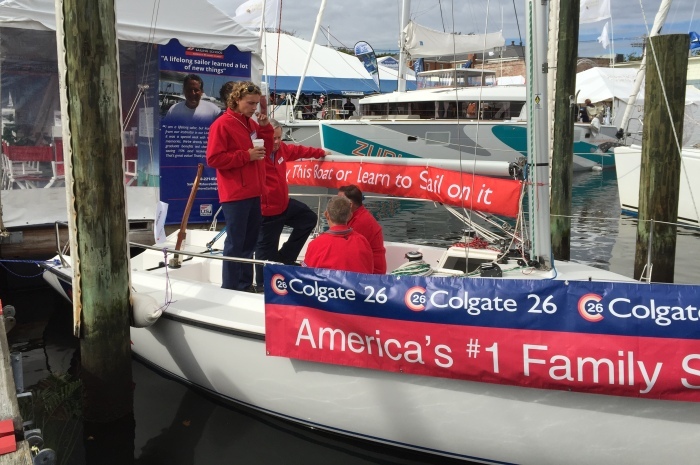 WHAT’S NOT TO LIKE ABOUT THE COLGATE 26? Frankly, it’s the best deal around for a value-packed boat that is absolutely safe, won’t sink, fun and fast to sail, and a great platform for just enjoying the sailing lifestyle. Don’t wait for another summer, fall, winter or spring to go by. If you are looking for a boat in the 25-30′ range, this IS the boat to buy! It&#8217;s fun to sail with family and friends, competitive in PHRF fleets, low maintenance, and very safe as we’ve said before. 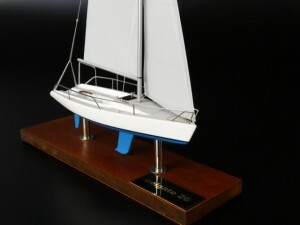 PLACE YOUR ORDER NOW AND YOU GET THIS BEAUTIFUL C26 MODEL TOO! This perfectly scaled model of a Colgate 26 is included with your Colgate 26 purchase, as long as supplies last. The perfect size to place on your mantle or bookcase, it retails for $250. The model (shown here) is mounted and encased in a heavy plastic cover that measures 10″w x 14″h x 3″d. It’s guaranteed to give you positive bragging rights when you place it on your office desk. Call or email Steve Colgate to day to place your order!